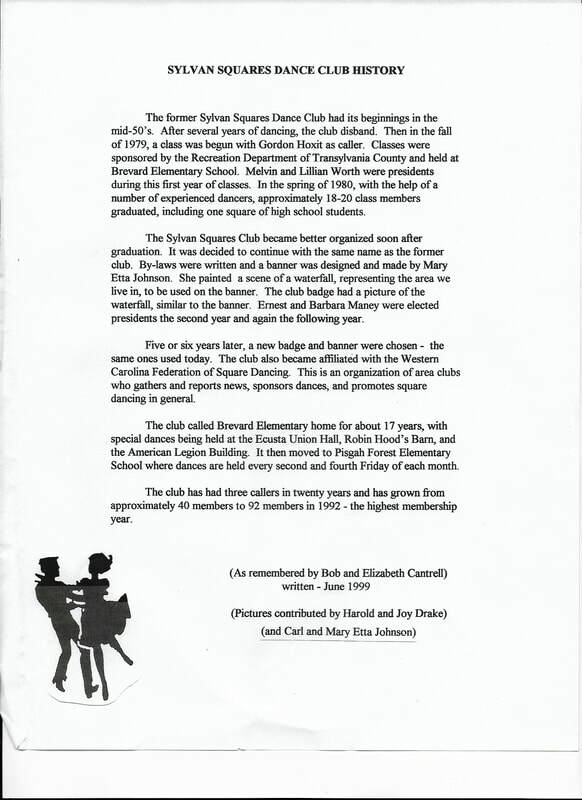 Sylvan Squares, founded in 1979, is a member of the Western Carolina Federation of Round and Square Dancing. In July 2017 , we became a Guest Caller Club. This means that every month will have a variety of local, regional AND national callers. We welcome dancers from clubs throughout the Federation and from across the nation and world to join us at our dances. We are proud of our reputation for informality and friendliness. We are a club with members who like to dance and have fun! Our regular club dances take place on the 2nd and 4th Fridays of the month.